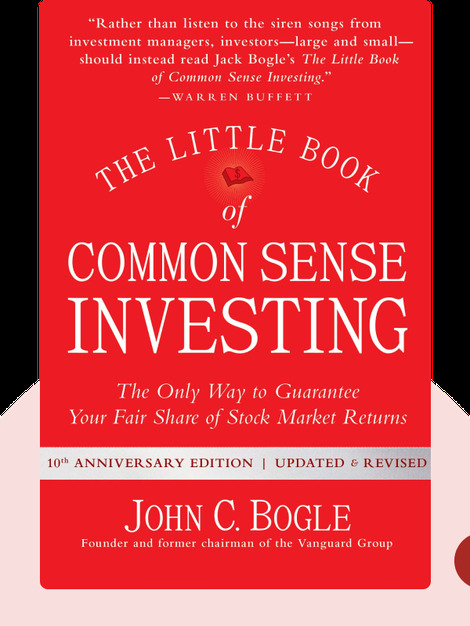 The Little Book of Common Sense Investing provides a detailed overview of two different investment options: actively managed funds and index funds. These blinks explain why it's better to your money in a low-cost index fund instead of making risky, high-cost investments in wheeling-and-dealing mutual funds. John C. Bogle is the founder and now-retired CEO of the Vanguard Mutual Fund Group, an American investment management company. His other books include the bestselling classic Common Sense on Mutual Funds. 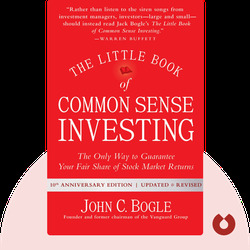 © [John C. Bogle: The Little Book of Common Sense Investing] copyright , John Wiley & Sons [Inc. or Ltd. as applicable] Used by permission of John Wiley & Sons [Inc. or Ltd. as applicable] and shall not be made available to any unauthorized third parties.